Home Competitions WIN a Logitech Spotlight wireless presentation remote worth £120! Win a Logitech Spotlight Wireless Presentation Remote worth £120! Logitech has also been working with Prezi for Spotlight Plus, which will provide Logitech’s business partners with six months access to Prezi and a three-year warranty. 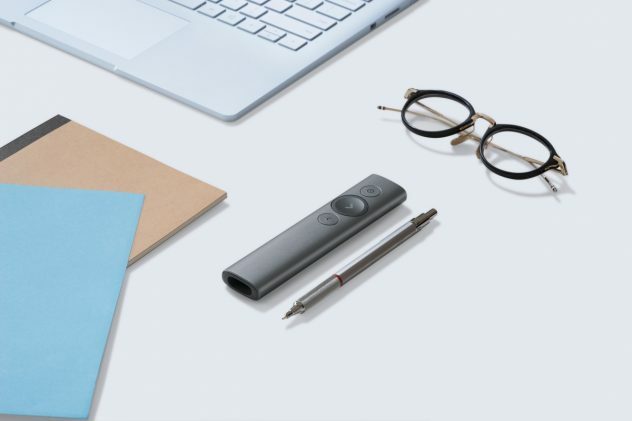 The Logitech Spotlight is the preferred presentation remote for TED talks, with its sleek design and fantastic range. With a range of up to 30 meters (100 feet)2 the Spotlight gives you freedom of movement across any stage or client boardroom. Pointer – Highlight1, magnify1, and control the on-screen cursor. Next – Navigate forward, and control custom functions1 gesture volume adjustment. Thank you for entering the competition is now closed, check out our other competitions here.